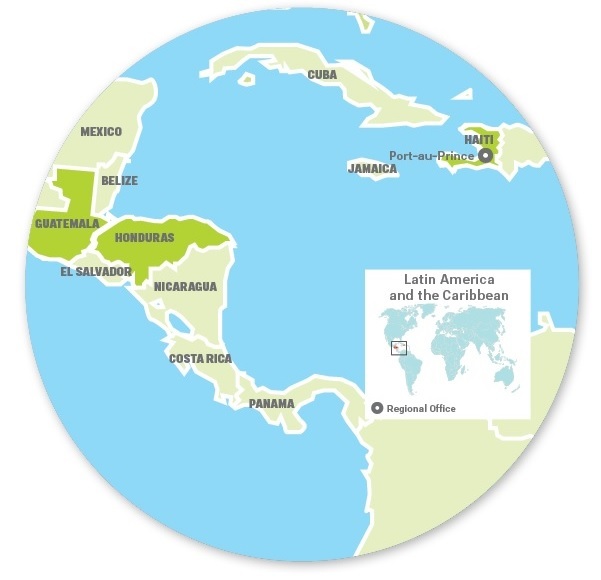 The FCA Regional Office for Latin America and the Caribbean is located in Petionville, Haiti, on the outskirts of the capital Port-au-Prince. FCA also supports efforts in the Central American states of Guatemala and Honduras. 60 school committees were supported in Haiti. 529 teachers and 52 headmasters received education in school management, human rights, disaster risk reduction and conflict mediation. 195 indigenous rural women learned to read and write and studied the basics of business management in Alta Verapaz, Guatemala. 700 women and 200 men participated in training programs for gender equality and preventing domestic violence. “Now I’m able to plan my work so that there’s something left for me too. I will never again work for debt”, explains Orfelie Saintelus, 56, a seamstress who took part in an accounting course organized by the Women’s Bank in Haiti. “My parents left me with nothing. For a long time I lived in poverty. My dream is for Joël to finish school and get a better future”, says Roselor Charlles. 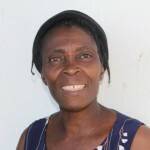 Her son, Joël Baptiste, goes to the Abeilles d’Aspam School, which was built by Finn Church Aid, in Léogâne, Haiti. In HAITI, an ambitious and innovative school rebuilding project in 2014 supported the goals of the Haitian government to offer education to all Haitian children. Four schools were finished during the year giving 900 children safe school facilities. The school buildings have been built to withstand tropical hurricanes and earth quakes. Kitchens, water supplies and proper toilets were constructed in each school. Community participation and community ownership are extremely important in the activities of FCA. Everyone’s right to education is emphasized when working with communities. We also work to improve the quality of education, and together with our local partners trained school teachers and directors. We believe that the financial empowerment of women is essential for reaching gender equality. In 2014, FCA supported women’s livelihood programs, such as farming and animal breeding, in the rural areas of Macaya. Entrepreneurial training, for example accounting, was organised for women. We also organised training in human rights, leadership, family planning and reading and writing. During 2014, 496 women participated in the training programs of the Women’s Bank. The community approach taken to the rebuilding project of schools increases participation and ownership in the communities, and helps to reduce conflicts within and between them. In Haiti, where the communities are left without proper support from the government, the work of FCA bridges the gap between them and the Ministry of Education, thus promoting human rights. Disaster risk reduction is a part of all our programs, and we help schools, for example, to draft plans for their disaster response capacity. 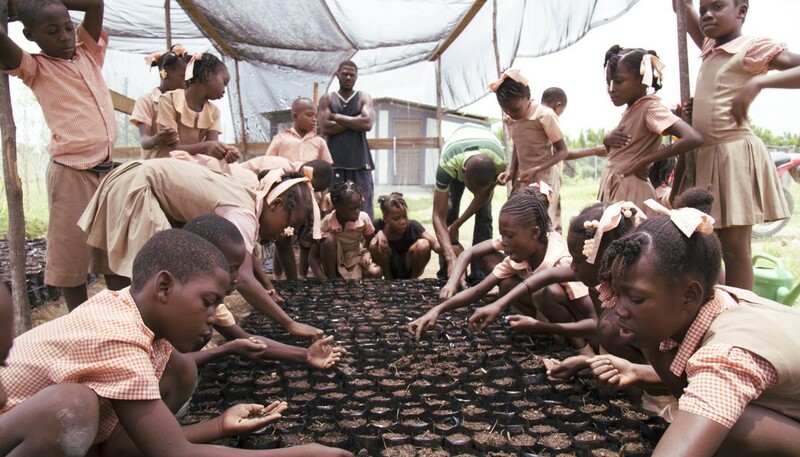 We also help communities to adapt to the effects of global warming. In LATIN AMERICA, Finn Church Aid is working in Guatemala and Honduras. In 2014, we focused on improving livelihood opportunities and strengthening local resources in conflict mediation and resolution. FCA supported human rights and democracy education, and giving residents opportunities to participate in local decision making.